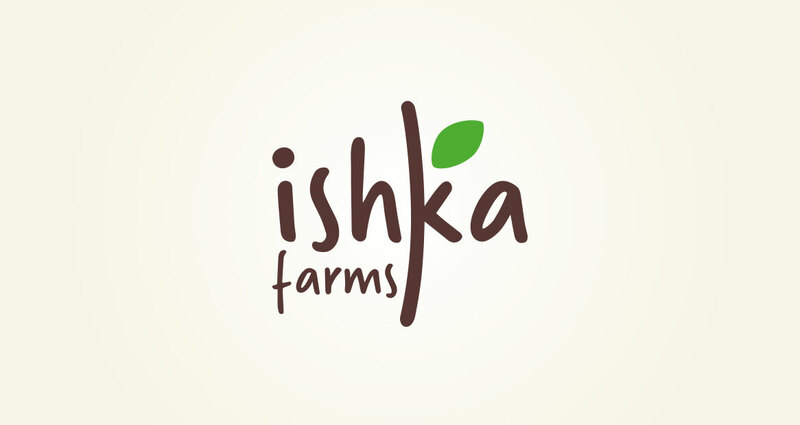 Ishka Renewable Farms is a future-centric company that occupies the agriculture and food business space. 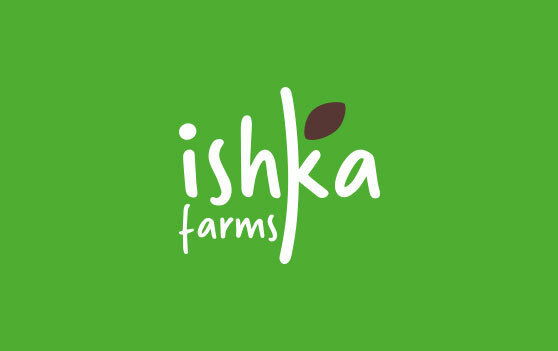 Ishka has procured 365 acres of land 45 kms from Madurai in Tamilnadu primarily for agro-food business and renewable energy. 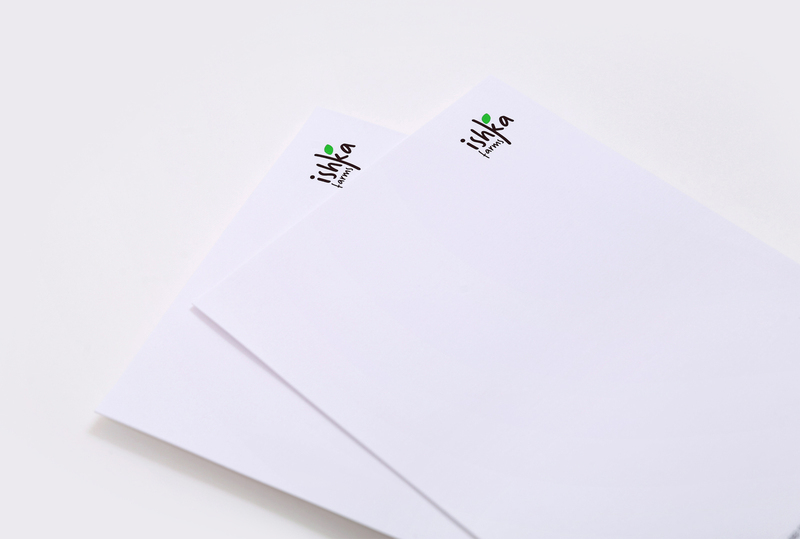 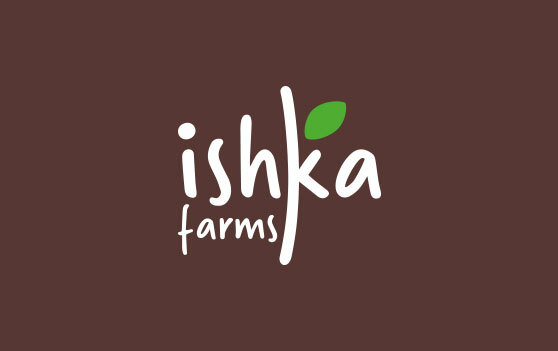 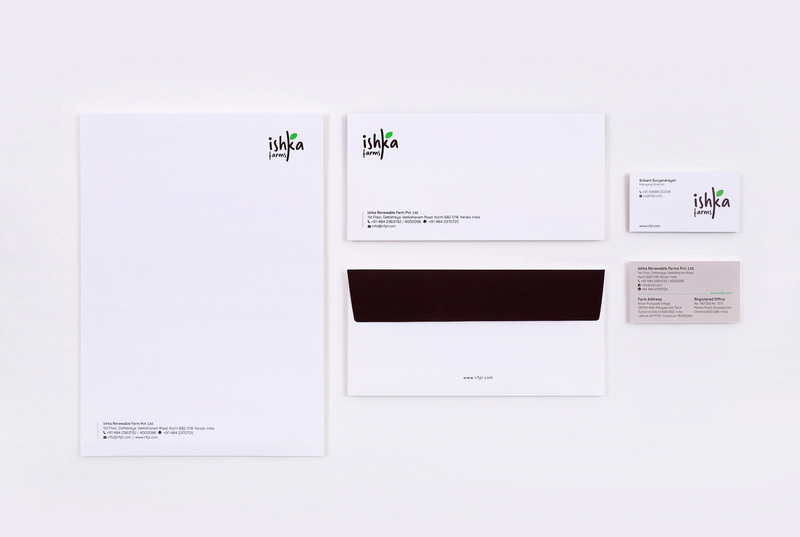 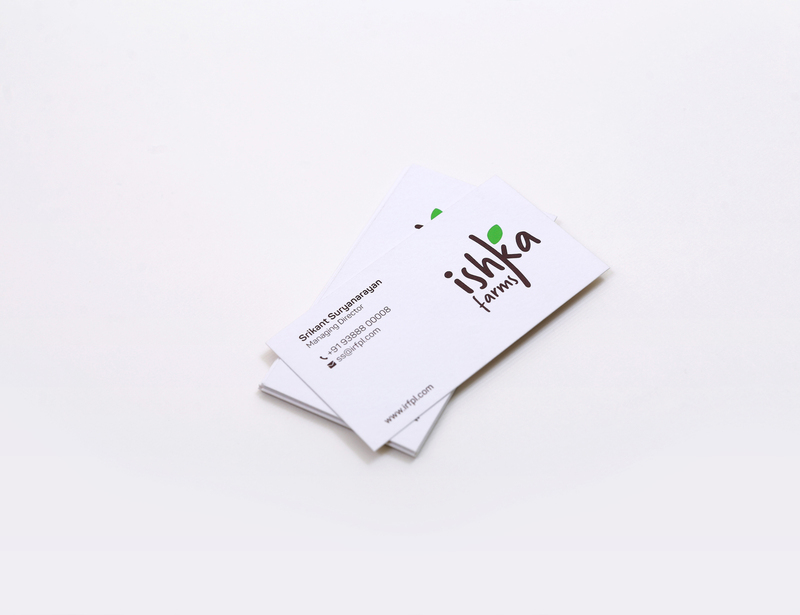 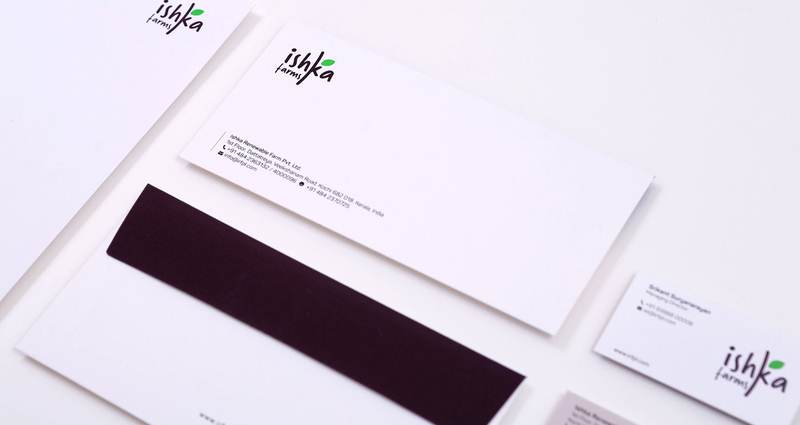 On taking-on the project for Ishka Farms our first task was to design a logo for the company. 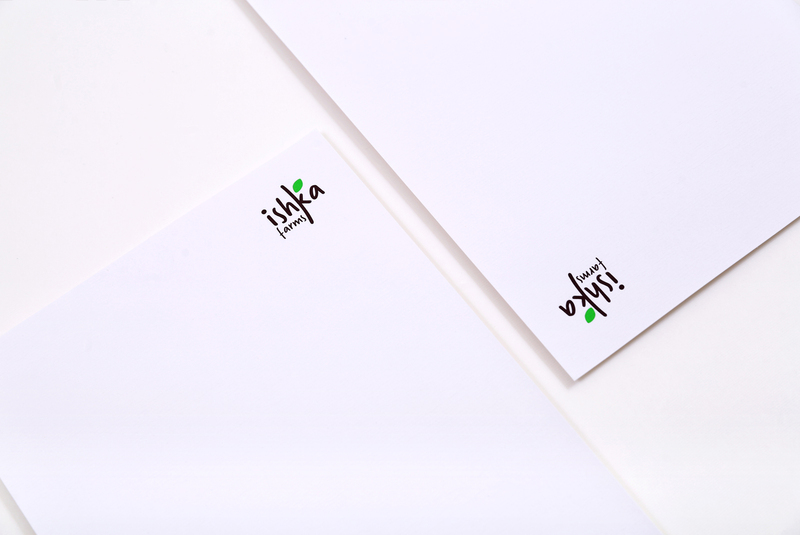 Keeping in mind their ideology of sustainability, development and the concept of nurturing, we designed a typeface where the stem of the letter ‘k’ has a green leaf emerging from it. 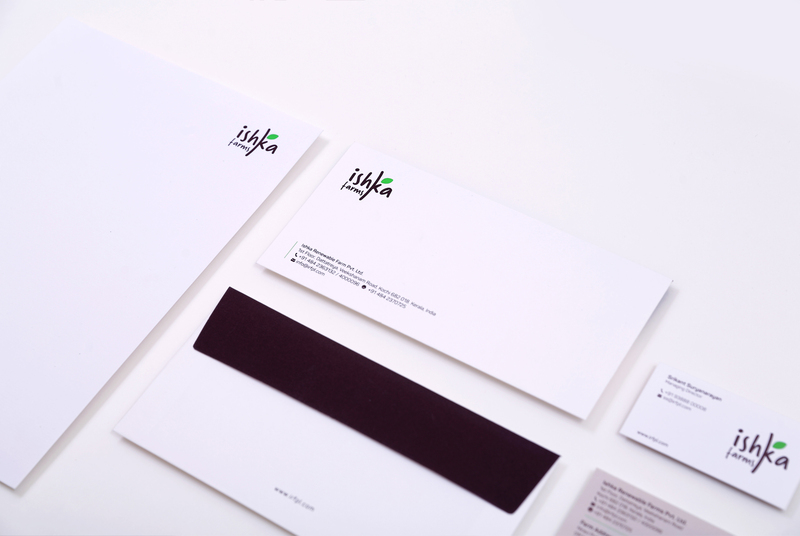 Colours used are a bountiful green and earthy brown. 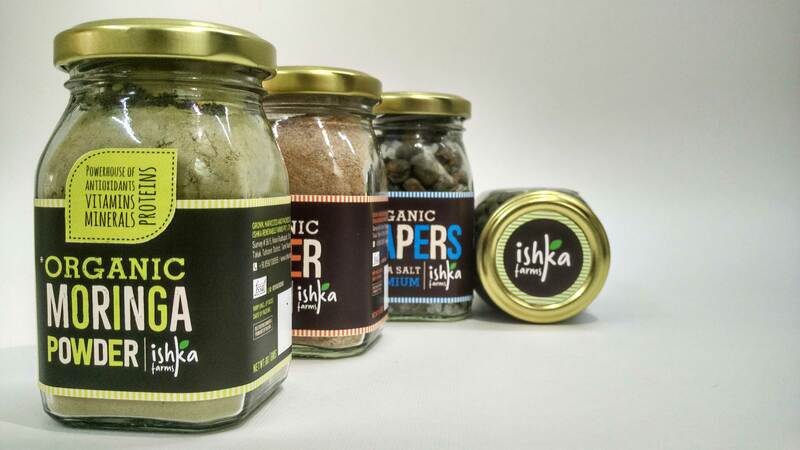 The packaging was designed to represent the organic nature of the products. 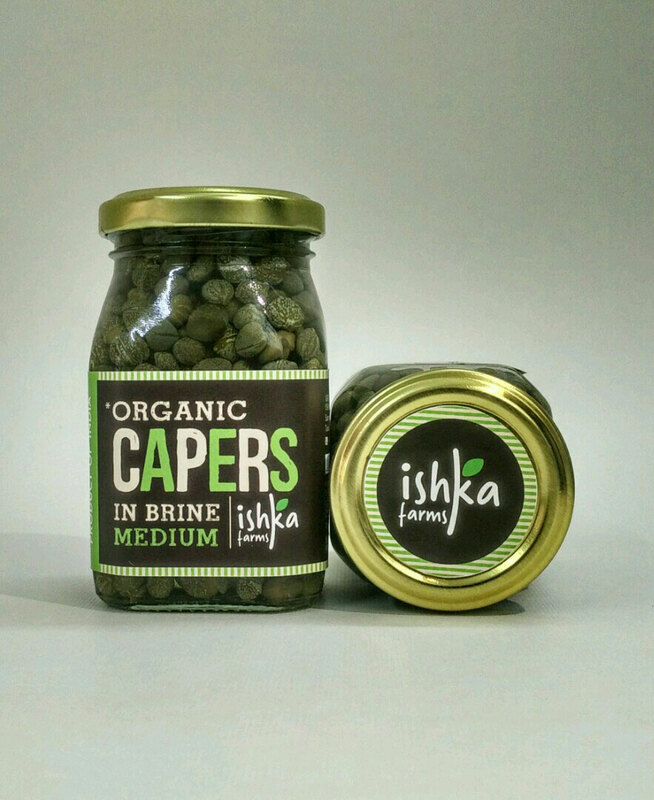 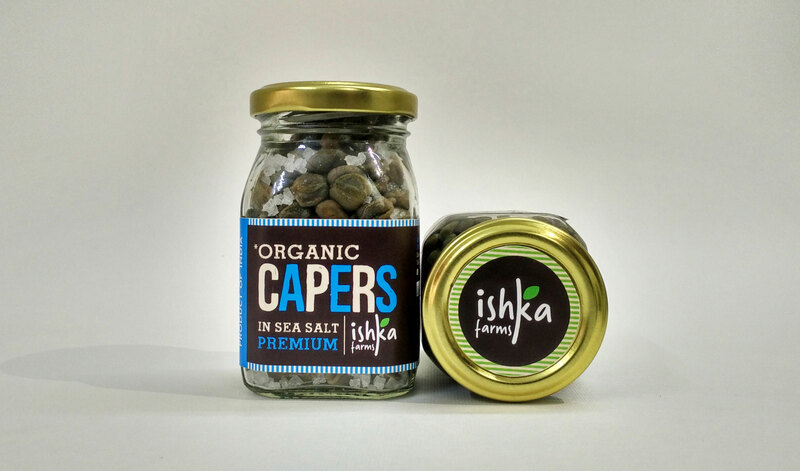 Ishka Farms is the only company harvesting, curing and packing capers in India, as a consequence, the words 'Product of India' is featured prominently on the bottle labels. 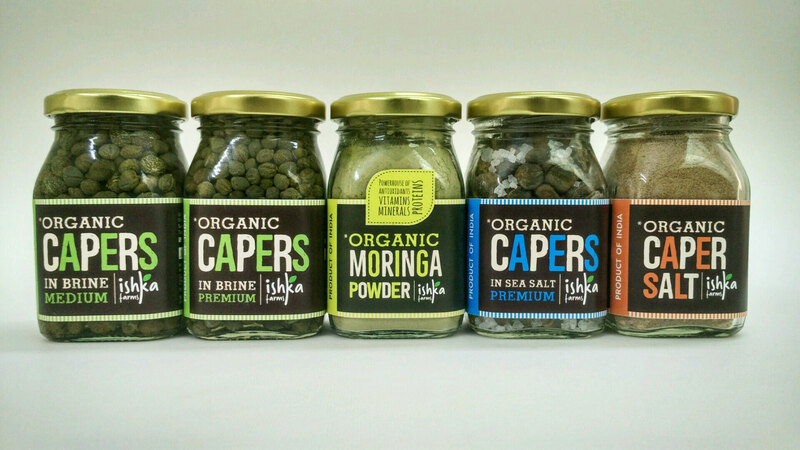 For the Moringa Powder label, we have added an extra blurb on the bottle listing the health benefits the product brings. 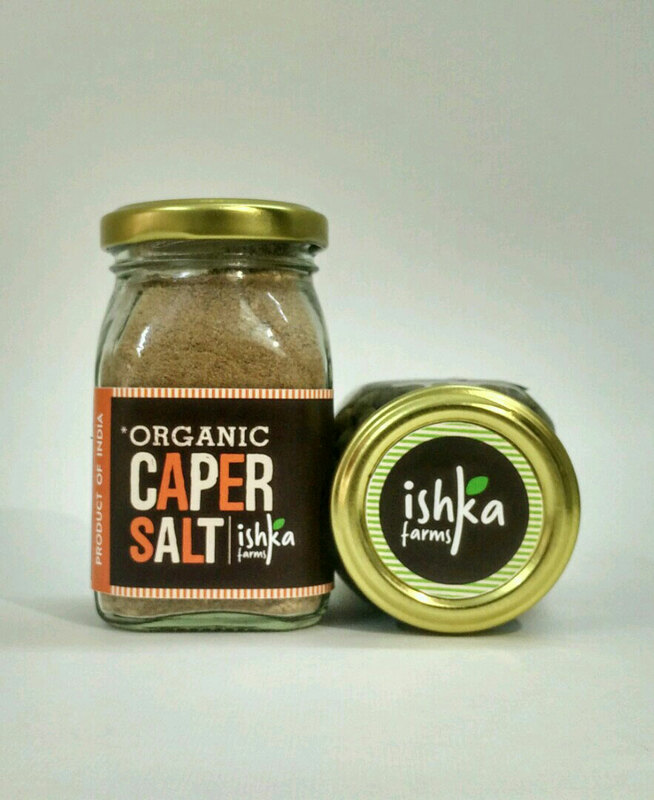 The product variants are identifiable with the use of different colours on the labels.